What is trophy fishing? Trophy fishing is when recreational anglers target the largest individuals of a species with the goal of catching a “world record” sized fish. 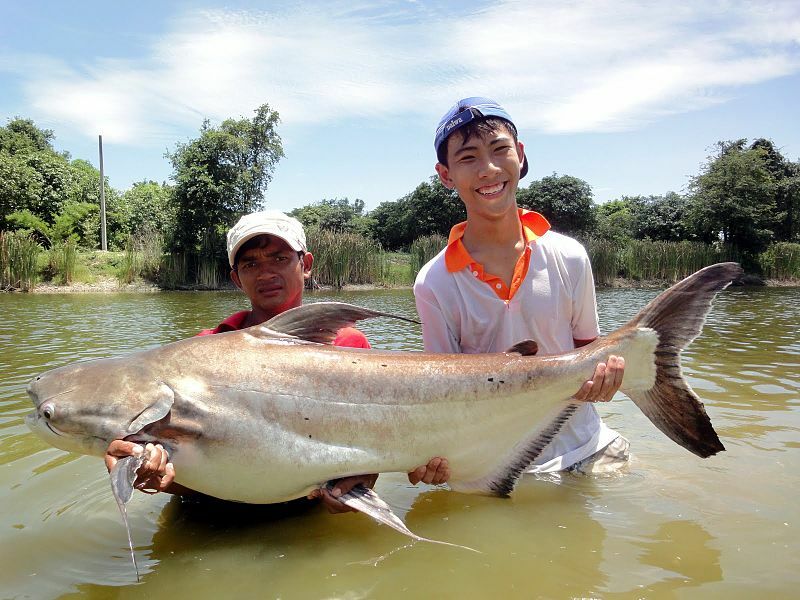 These world record certificates are considered extremely prestigious in the angling community, and the desire to get such a record contributes to fishing pressure on many species of fish. Who certifies these official world records? The largest organization that certifies world record catches, by far, is the International Game Fishing Association, or IGFA. The IGFA has more than 15,000 members in over 100 countries. The IGFA are also considered thought leaders in ethical angling practices, and many of the smaller organizations follow their lead. Does trophy fishing require killing the fish? Record-setting fish must be weighed at an official IGFA weigh station. For many species of fish, the process of transporting a fish to one of these weigh stations implicitly requires killing the fish. Is trophy fishing an ecological problem? Not necessarily, but it can be for some species. For many species of fish, the number of offspring they can have is based on how big they are. This means that larger individuals can have many more offspring, and removing the largest individuals has a disproportionate impact on the population dynamics of a species. For example, removing just one large 61 centimeter long red snapper from the population is the equivalent of removing over 200 smaller 41 centimeter long red snappers from the population. Fish species with healthy populations can withstand the disproportionate impact of trophy fishing, but for species with already reduced populations, selectively removing the largest individuals can impede population recovery or even contribute to decline. How many species of fish are targeted by trophy fishing? The IGFA has issued all-tackle world records for 1,222 species of fish. This includes 85 species that are considered Threatened with Extinction (Vulnerable, Endangered, or Critically Endangered) by the IUCN Red List. Some of these species you’ve probably heard of, like the great hammerhead shark or the bluefin tuna. Some you probably have not heard of, like the apache trout, cui-ui, or giant pangasius (shown in the upper right). Isn’t commercial fishing a bigger threat than recreational fishing? Generally speaking, of course it is. In fact, 81 of the 85 IUCN Red List Threatened species we identified in this study have a current or historical commercial fishery associated with them. However, scientists have known for years that recreational fishing can also have a huge ecological impact, and for some species of fish, commercial fishing isn’t permitted but recreational fishing is. Also, it does not matter what originally caused the population declines in these fish, what matters it their populations have declined so much that an international team of scientific experts says that they are Threatened with extinction (and therefore, we believe, ethical trophy anglers should no longer target them). Finally, saying that larger problems exist does not mean that this is not a problem. Are you anti-fishing? No, we are not anti-fishing. I grew up fishing with my grandfather, who was an early proponent of catch and release for fish you weren’t going to eat. Andrew’s bachelor party (I was the best man) was a day of deep sea fishing for mahi, which we grilled and ate with his family. Fishing for fun and for food is culturally and economically important in the United States. However, as there is an ethical difference between hunting an overpopulated deer that you plan on eating and hunting an endangered rhino so you can mount its head on your wall, there is an ethical difference between fishing for fish with healthy populations and fishing for fish that an international team of scientific experts say are Threatened with extinction. What can be done? In our paper, we suggest a simple solution: if the IGFA announced that they are no longer issuing world records for IUCN Red List Threatened species, that will reduce fishing pressure on these Threatened species while still allowing trophy fishing for more than 90% of the species that the IGFA has issued all-tackle world records for in the past. Will the IGFA support your plan? The IGFA has a long history of supporting ocean conservation measures, and their mission statements asserts that they are “committed to the conservation of game fish and the promotion of responsible, ethical angling practices.” The subtitle of our paper is “a way forward building on a history of conservation” for a reason. We believe that “don’t fish for IUCN Red List Threatened species” is an important step in ethical recreational angling, and we hope that the IGFA agrees. I’m a journalist and want to ask you questions about this study, how can I reach you? WhySharksMatter at gmail. Also, please read this brief style guide for journalists who want to write something covered on Southern Fried Science. UPDATE: Our paper was covered in Science Insider. UPDATE: Our paper was covered on “The Best Shark Dive in The World” blog. UPDATE: The IGFA has issued an official response (you can read it here). We disagree, and will be officially responding to their official response. UPDATE: The Best Shark Dive in the World covered the IGFA response and was not impressed. UPDATE: Science Insider covered the IGFA response. Snowy Owls and Goliath Groupers: Why I co-authored "Trophy fishing for species threatened with extinction."